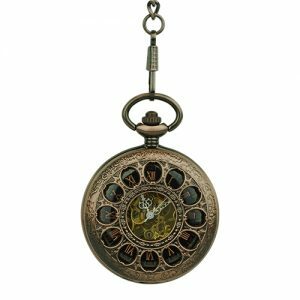 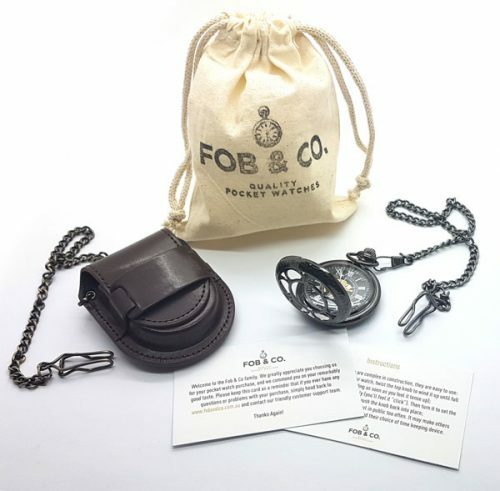 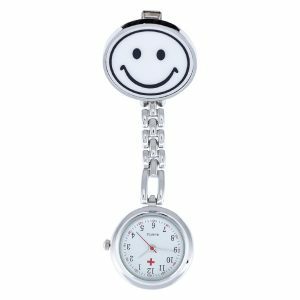 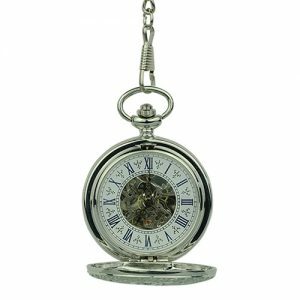 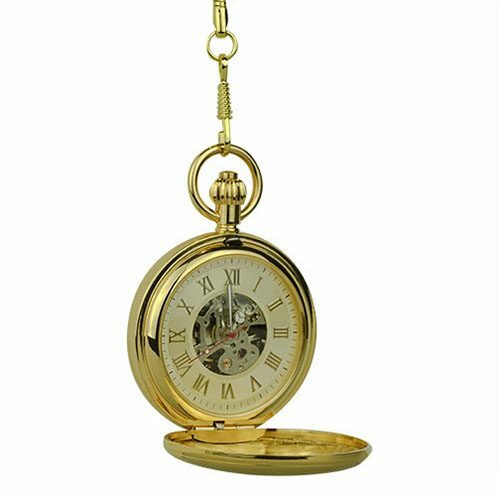 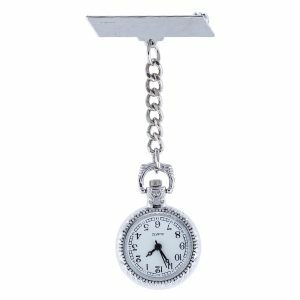 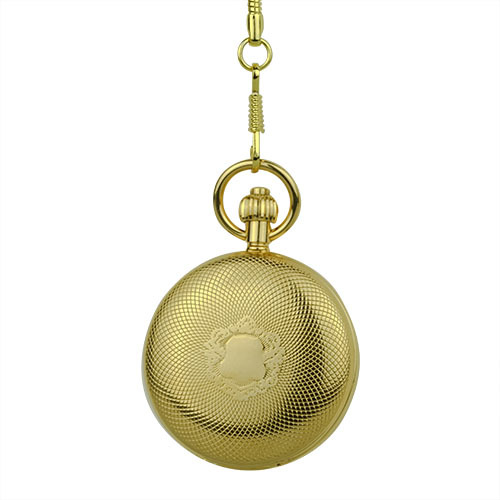 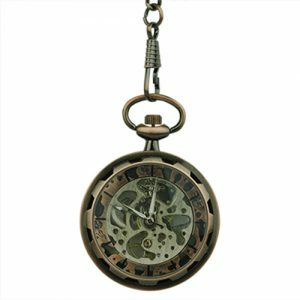 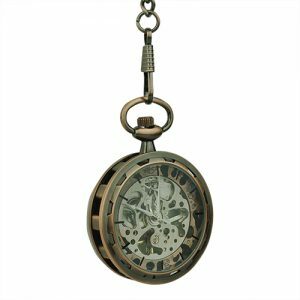 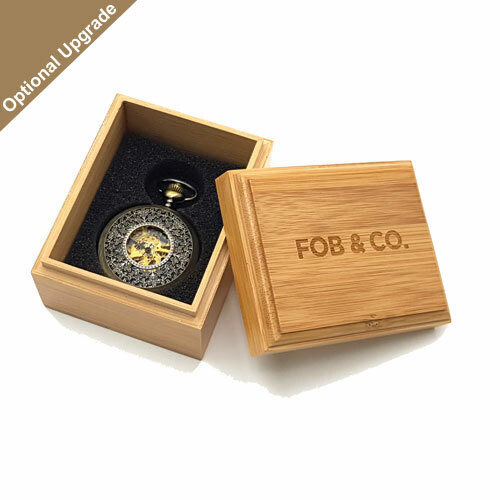 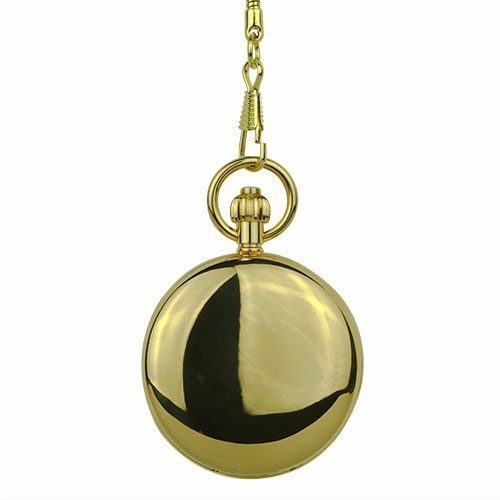 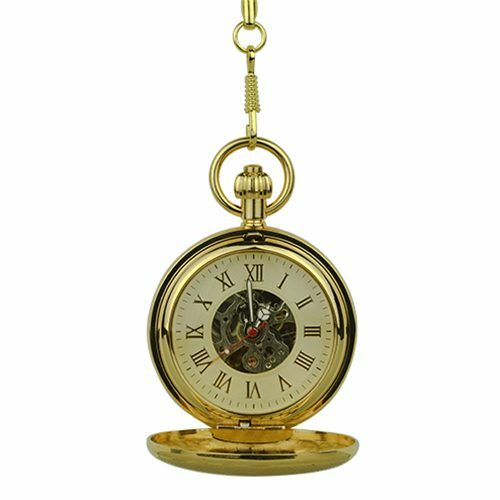 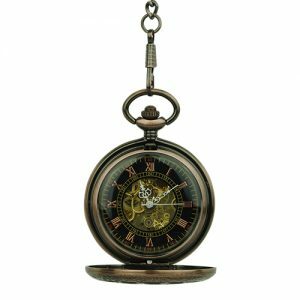 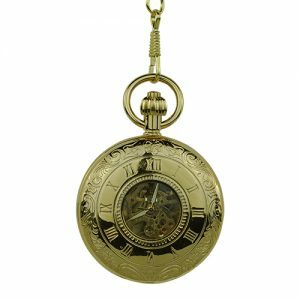 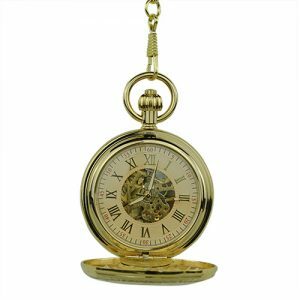 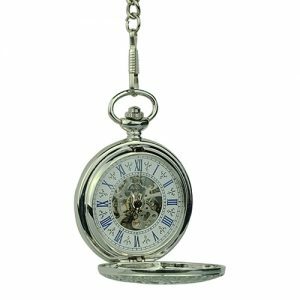 This beautiful double hunter pocket watch features a flourish overlapping sphere patterns. 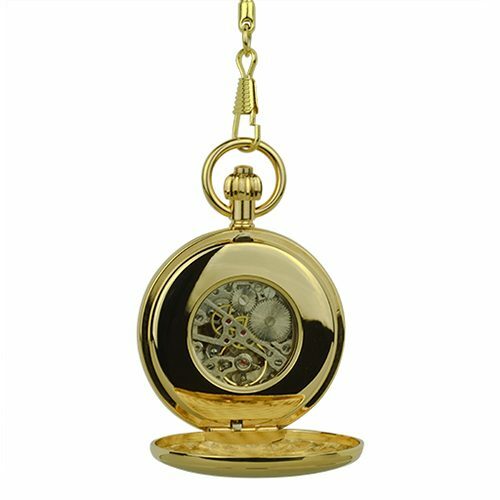 Unveiling the inside, it is crafted in gold finish that displays gold roman numerals in a white ring that is highlighted with the silver skeleton. 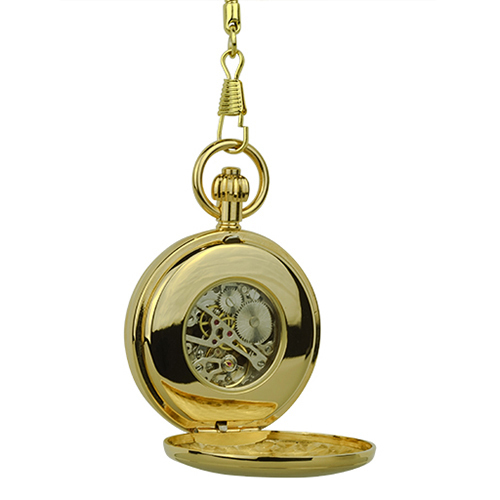 From the rearview, it exhibits more of the inner works.